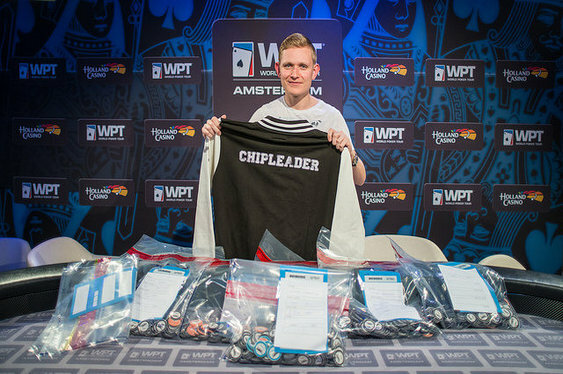 Just six of the 341 starters in the WPT Amsterdam Main Event are still in contention with Britain's Steve Warburton leading the charge for the $239,559 first prize. A familiar face on the UK tournament circuit, Warburton will start Saturday's finale with a stack of 2,810,000 giving him a decent leads over Sweden's Fredrik Andersson (2,195,000). Joep van den Bijgaart (1,650,000), Kees van Brugge (1,270,000) and Farid Yachou (1,195,000) follow with Amsterdam High Roller champ Jason Wheeler (1,095,000) rounding out the final table. Sorel Mizzi was the most high profile casualty of the penultimate day. The Canadian looked in great shape, all in with AK against Andersson's AQ, especially after a king high flop. The Swede managed to river a flush though, crippling Mizzi who departed soon after in 10th. Also hitting the rail on Friday were WPT Champion's Club member Giacomo Fundaro, WSOP Asia Pacific Main Event winner Scott Davies and Brit Louis Salter. The final table action starts at 1pm UK time (2pm local).